Can I stop my wife's affair without sending her to jail? In my column this week in The National newspaper, I answer a man who has discovered his wife is having an affair with a neighbour. He wishes to stop the affair but wants to preserve his marriage to his wife, with whom he has two children. I explain that if the pair are found guilty the sentence they are given is at the court's discretion, but it is likely that the court will issue a sentence of at least a year, followed by deportation. Factors including the nature of the affair and strength of the evidence will determine the sentence. Is a WhatsApp message legal proof my husband is cheating? In my publication this week, I discussed about the admissibility of emails, text, WhatsApp messages and other written communication as an evidence in UAE. I further explained the necessity to follow the mandatory legal procedure to annul the matrimonial relation in UAE. Can I file an adultery case against my husband who visits the UAE with his mistress? In my publication this week, I discussed about the act of adultery, which is forbidden and punishable as per UAE laws and those, who found guilty of adultery may face imprisonment and deportation. 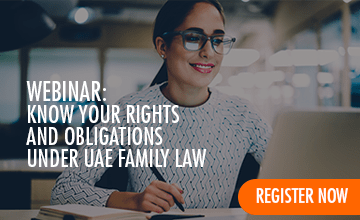 I further discussed about the matrimonial rights and explained that if none of the parties are resident in the UAE, the wife cannot file for the maintenance suit. Likewise, I discussed about the applicability of the UAE civil laws regarding the property and bank accounts, in the absence of one's own country law. Can I Ask Police to Check 'cheating' husband's Phone Records? In my publication this week, I explained the legal procedure to collect evidence in a criminal matter. I also advised the event where a marriage between a non-Muslim man and Muslim woman can be deemed invalid. I Think Husband Is Cheating, What Can I Do about It? In my interview this week in The National newspaper, I explained the options a woman has in case her husband is having an extra-marital affair in UAE. What Evidence Do I Need to Prove My Wife's Affair in Court? Can I File an Adultery Case Against My Husband's Girlfriend? In my interview this week in The National newspaper, I addressed whether a woman can file an adultery case against her husband's mistress, as well as if expats in the UAE can apply for a divorce using the laws of their home country.